This here bottle of Whisky was made especially for the very first backers of Arran distillery. It was aged for 14 years and has plenty of those typical Arran malt characteristics—light and gentle with notes of sweet, fresh apples. We're not going to mince words here: there's a strong following for this one and bottles are scarce. You want a peek into Arran's soul? Take a sip of this. You've just got to get your hands on it first. 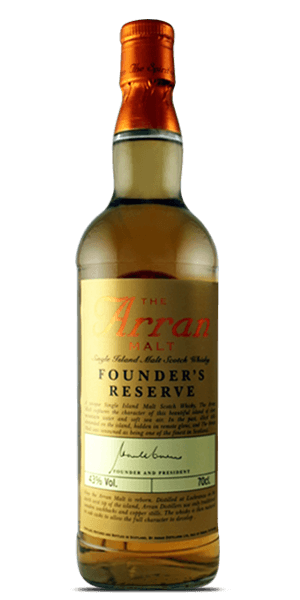 What does Arran Founder's Reserve taste like? The Flavor Spiral™ shows the most common flavors that you'll taste in Arran Founder's Reserve and gives you a chance to have a taste of it before actually tasting it.